Rene Russo | The Reviewers Unite! Oh hey! 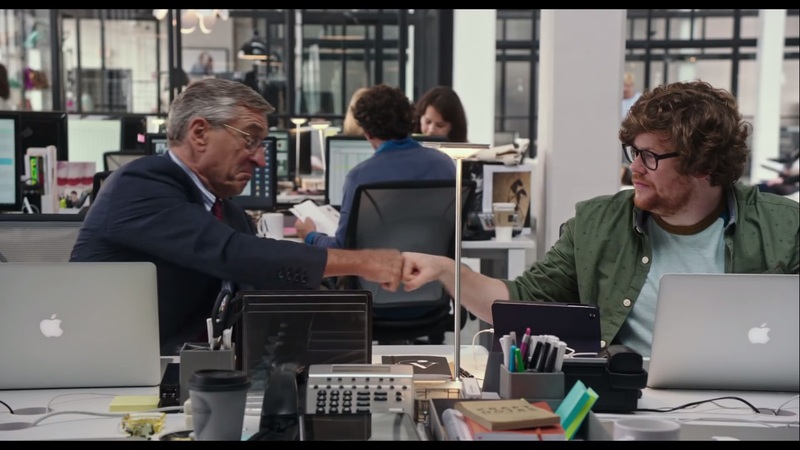 Robert DeNiro is in yet another a wacky comedy because THAT always works out, right!? Sure, he was funny in… um… Brazil I think, but for every GOOD comedy he does, he makes a Focker trilogy or Rocky and Bullwinkle to remind you that he CAN be funny but tends not to pick good projects to show it. Still, there’s no denying that the man is a brilliant actor and he has a strong costar here in the form of Anne Hathaway who’s so good that she managed to be the most memorable aspect of a Batman movie. Will this be an enjoyable romp with two venerable actors, or will this be yet another embarrassing comedy for two people who you’d think would be above this kind of material? Let’s find out!! The movie is about 70 year old Ben Whittaker (Robert De Niro) who’s been retired for quite some time now and is sick to death of it, especially since his wife has recently passed away. He really doesn’t have anything else that he wants to do with his time and would rather find a way to be useful once again than spend the rest of his life going on vacations and learning Mandarin. Hope seems to come his way when he finds a flyer for a company that’s looking to bring retired people bring into the workforce as interns. The company in question, About the Fit, is run by Jules Ostin (Anne Hathaway) and the little startup has skyrocketed beyond her wildest dreams in a very short amount of time. All is not well though as some people at the company are wondering if she can handle everything now that the company has become such a hit. Will Ben finally find a passion for life again now that he has something to challenge him? Will Jules be able to manage her life as the CEO of this fashion retailer while still making time for her family? Will these two get into all sorts of hijinks because old people and young people working together is apparently a GOLD MINE for comedy!? Fist bumps? But that’s what young people do!! 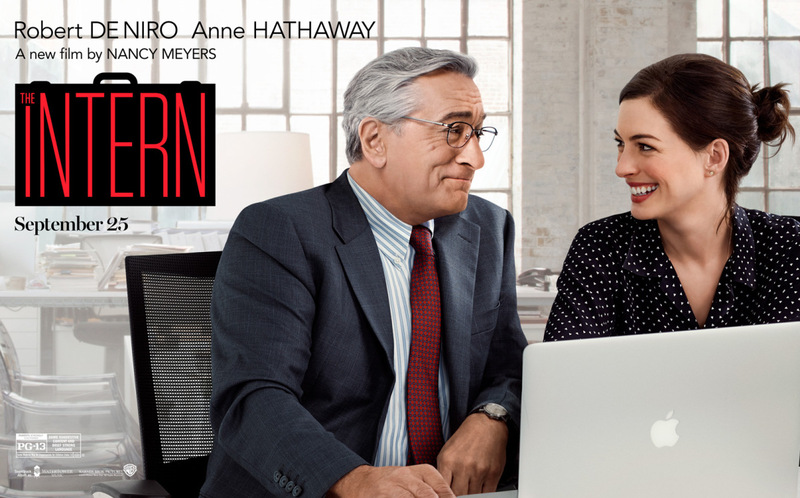 This entry was posted in Cinema Dispatch and tagged Adam DeVine, Anders Holm, Andrew Rannells, Anne Hathaway, Christina Scherer, Jason Orley, Movie Review, Nancy Meyers, Rene Russo, Robert De Niro, Zack Pearlman on October 17, 2015 by Matt Vetrano.